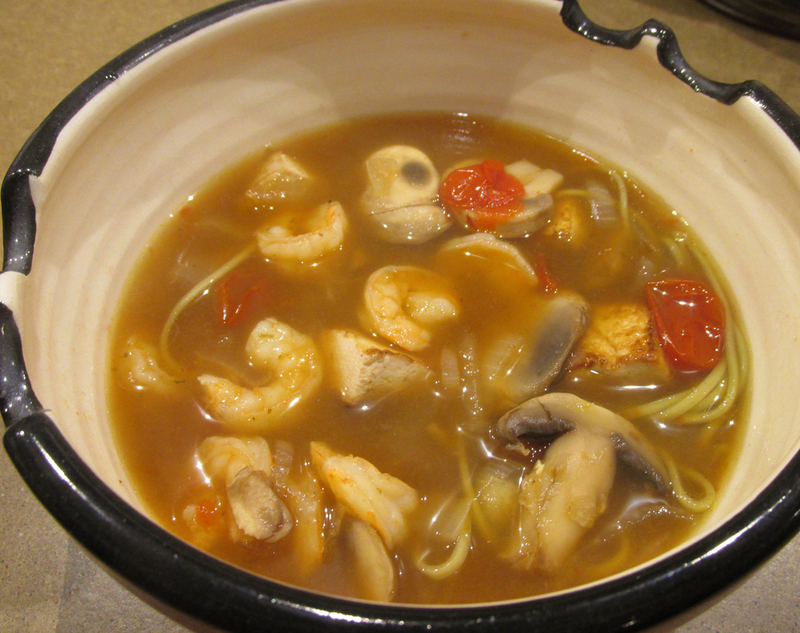 We love Thai food and this is sort of a Tom Yum soup, but I have added Shrimp and Green Chai Soba Noodles. There are a lot of variations to this. Is it authentic? Nope. Is it good on a cold, November day? Yup. In a large saucepan, bring the vegetable broth to a boil. Once boiling, add the lime leaves and lemongrass and boil for 5 minutes. 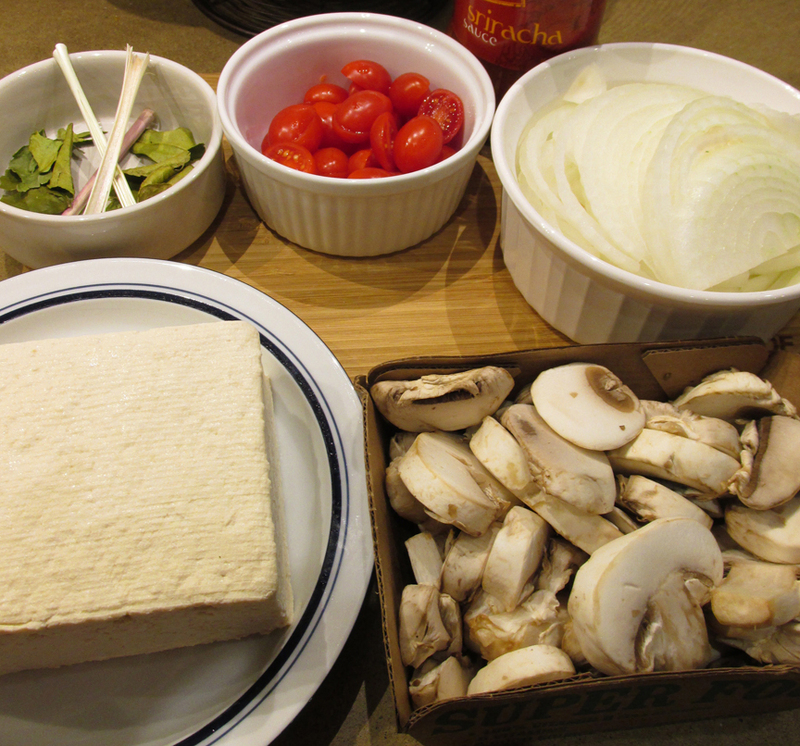 Add the mushrooms, soy sauce, Sriacha Sauce, lime juice, tomatoes and onions. 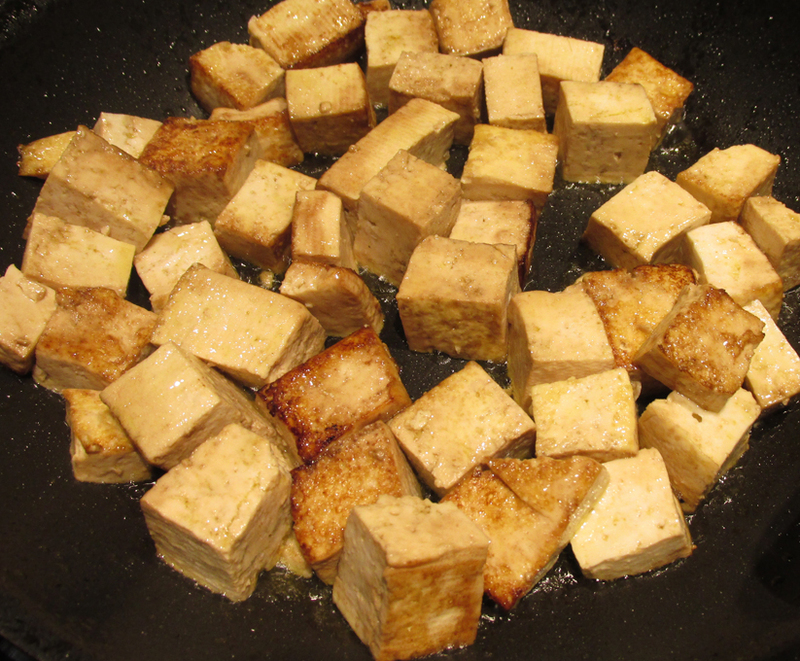 In a large pan heat oil and add Tofu Cubes, brown, add the soy sauce and continue frying until golden brown. Add Shrimp (if using) and simmer until cooked. In a separate pot, cook noodles per package directions and add to broth before serving.